Attention High School Students Prepare for the future! 1/6, 2/3, 3/3 time is 9am -2pm for diagnostics testing and practice test. Designed to benefit students of all ability levels, this 30-hour program is divided equally between English and math and covers all facets of the SAT and the PSAT. Class features: test taking techniques, preparation for the essay, practice SAT(s), advanced math and shortcut math, vocabulary development, speed-reading and online downloads for supplemental review. The downloads are extremely helpful to all students, especially those with cognitive and perceptual disabilities. Extra help at no charge, course materials and complimentary refresher sessions are included in the tuition. 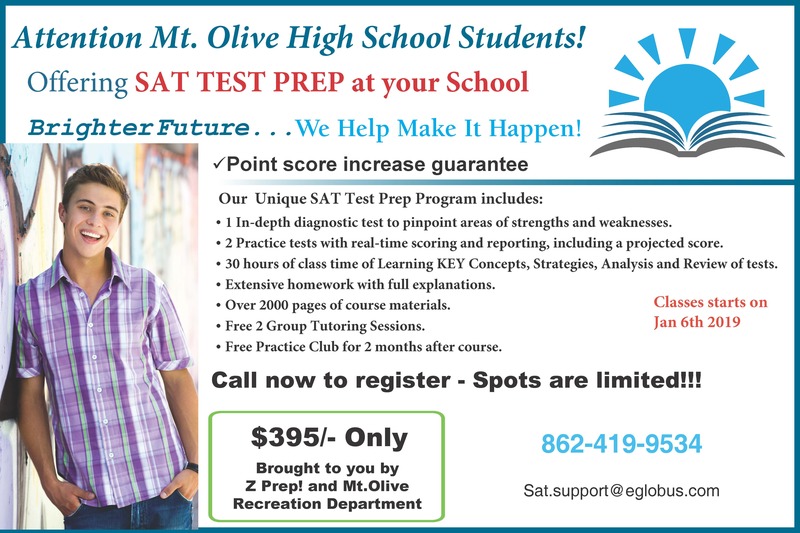 Previous SAT and PSAT type problems are used in conjunction with our own copyrighted curriculum. Lentz & Lentz teachers have been specifically trained to teach this program and all of our instructors have a background in teaching. Lentz & Lentz also allows students the flexibility to attend live make up classes at any of its nearby locations. Positive scores on the SAT and PSAT could translate into thousands of dollars in scholarships and savings. Free extra help and live makeup sessions included in tuition: Students can set up free extra help by making an appointment to meet with their instructor directly before or after class. If a student misses a class or has a scheduling conflict they can contact Lentz & Lentz to set up a live make up class at a neighboring location. Lentz & Lentz Guarantee: Money back guarantee within three calendar days after lesson one if the student is not satisfied with the program. No refunds will be issued after that point in time. If the student does not attend the first session, regardless of any reason, there will be an $85 charge. Lentz & Lentz reserves the right to dismiss any student from the program for disciplinary reasons. No refunds will be issued in cases of that nature. There is a $20 processing fee for refunds.